Kids just love games, be it playing with family, friends or anyone they like. Educational games are one of the best ways to spark creativity among kids. Online and offline game both stimulate kids to be organised and creative. in the digital age it is inevitable that kids don't come across online games, so it is better that parents and teachers make the most of them. There are thousands of games available online that you can choose for your kids and we have collected a list of amazing such online educational games. Math Ninja: Ninjas are kids favourite and this game platform is very popular for math learning like multiplication, addition and subtraction. Stack the Countries: With this amazing game, kids will learn about different countries of the world and its main cities through its extremely appealing task asking users to make designs using variable shapes. Highlights Hidden Pictures: The platform brings broadly adored unseen images games to the iPad for the kid who needs to build reasoning skills. LEGO Super Heroes Movie Maker: Inspire kids to pamper their creative impulses and edit their own mini-films by utilising DC superheroes in LEGO system. Math and Letters Air Control: This amazing game educates the fundamentals of math and the alphabet as well as the basic parts of speech. BrainPOP Featured Movie: See a new informative movie and then take a quiz later to test your information retention; movies cycle through a revolution. Early Jamestown: Explore the multimedia journey with this app that includes regular puzzles to test how well users have paid attention. GarageBand: Garage Band is a recording studio that is accessible in an iPad app. ThinkerToy: Kids can play tangram riddles of favorite animal, known landmarks and familiar object. Users can also customize new one and share it with their friends. 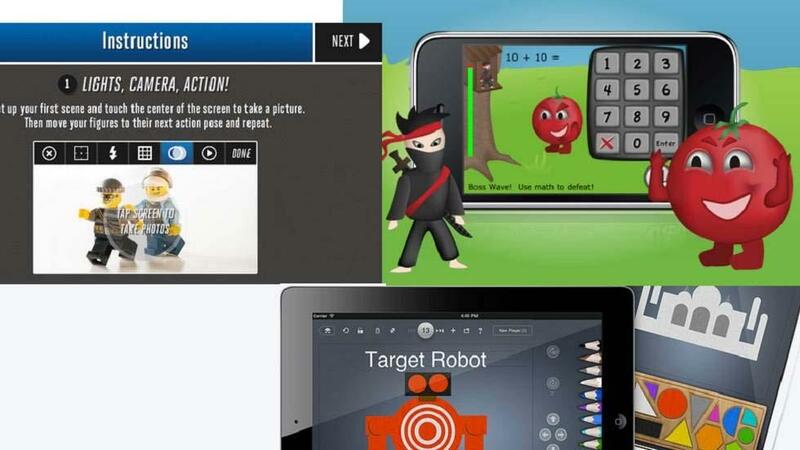 Kapu Toys: In this kids-friendly app, users can mix up images and graphics. The platform also enables users to learn the fundamentals of utilizing iDevices responsibly and securely. MathBoard: Kids can learn addition, multiplication, division, and subtraction by playing puzzles with customizable sizes, time limit and difficulty levels. Ultimate Word Search Free (Wordsearch): Kids can pass time as well as build vocabulary and visualisation skills by involving in themed word search. Let’s Create! Pottery: This app familiarizes creative young players to the fundamentals of crafting using clay and designing to get the end results. iWriteWords: Children can access an enjoyable device and play engaging game that assist them to perfect their handwriting. What’s the Difference? : Kids can build their mind as well as sharp their observation skills by inspecting two apparently alike images side-by-side and noticing the exits in high-definition. SoundTouch: Sound Touch is just perfect for kids; this is a SoundTouch matching game. It helps them to recognise the sounds of various animals and object. Monster Physics: Kids choose some simple physics theories and create their own apparatuses to digitally play in with actual time. Which one is your kid's favorite? Do you see value in letting kids play?